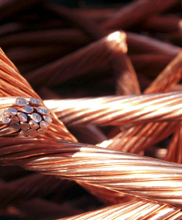 As a busy garage or car dealership, you probably generate your share of metal waste and the occasional scrap vehicle. Disposing of these in the correct, environmentally-friendly way helps protect your reputation and keep you legal. 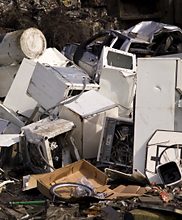 Getting top car scrap value also turns waste into money for your business. As fully-licensed vehicle scrap merchants, we’ll give you a fair, competitive price for your old vehicles or any vehicle parts and components you want to dispose of. Call 01451 820 230 or email us for a quote. By the way, we also sell reclaimed vehicle parts for a fraction of manufacturers’ reconditioned part prices. If you’re looking for guaranteed second-hand components please contact us. 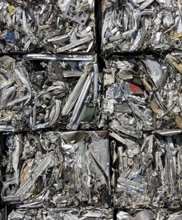 We’ve built our reputation on scrap recycling for the motor trade in Gloucestershire, surrounding counties and elsewhere in the UK. Whether we regularly collect workshop scrap or you’ve a one-off need to shift a scrap car, we can help. Bring scrap to our Cotswolds waste depot. 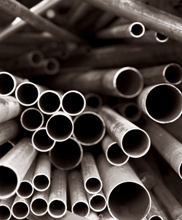 Use our trade scrap-metal collection and skip service for waste and scrap cars. What paperwork is involved to scrap a car? If you’re disposing of a vehicle, we’ll need the V5C registration certificate (sometimes called the ‘log book’). For cars, light vans or three-wheeled motor vehicles (but not motor tricycles), we’ll issue a Certificate of Destruction within 7 days to prove that you are no longer legally responsible for the vehicle. We’ll also tell DVLA that your vehicle has been scrapped. 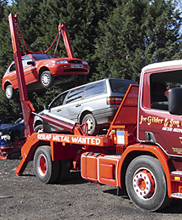 Legally, you can only scrap a vehicle at an authorised treatment facility (ATF) like ours. We’re registered under the West Thames Region and our EPR Permit Reference is BB3034RX. For your peace of mind, you can verify this by visiting the GOV.UK website. IMPORTANT: if you bring a vehicle to us or we collect it, please make sure you’ve removed all your personal items – you’d be amazed what we sometimes find in the vehicles we scrap! If you’re scrapping a car or getting rid of workshop scrap, recycling it through us makes sense for many reasons. For your instant quote or to arrange collection, please contact us.